Continental's Degenhart: A division that the supplier acquired last year will be ready to start production. Editor's note: A previous version of this story misidentified the company that will supply lidar to the Audi A8 in 2019. Valeo is the supplier. The race is on to build inexpensive lidar for self-driving vehicles. Two suppliers, Continental AG and Valeo SA, say they will produce solid-state lidar for automakers in 2019 and 2020. Valeo confirmed that it will supply lidar for the Audi A8 in 2019, while a lidar maker owned by Continental AG will produce units for an as-yet unnamed automaker. Automakers are counting on lidar to supplement radar and cameras in self-driving vehicles -- part of a belt-and-suspenders strategy to ensure safety even if one sensor fails. Lidar units form 3-D images of road obstacles by bouncing laser beams off objects in the vehicle's path. Unlike cameras, lidar can function well in snow or rain. 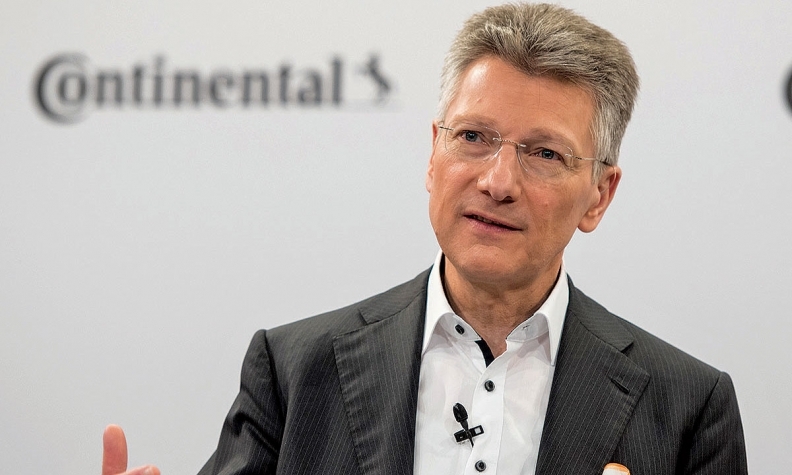 Last week, Continental CEO Elmar Degenhart confirmed that the former lidar sensor division of Advanced Scientific Concepts that Continental acquired last year will be ready to launch production in 2020. Meanwhile, ZF Friedrichshafen executives have confirmed that it is working with partner Ibeo Automotive Systems on a lidar that will be production-ready in 2019. ZF has a 40 percent stake in Ibeo. ZF did not disclose its customer. Executives with ZF and Continental expressed confidence that they can initially produce a solid-state lidar for a few hundred dollars per unit. If so, that would be a big advance over the revolving "coffee cans" used by Google's mapmaking vehicles. Those lidar units once cost as much as $75,000 apiece. John Krafcik, CEO of Google's self-driving unit, Waymo, said during a speech last week at the Detroit auto show that his company has reduced the cost of its lidar by 90 percent. But Krafcik did not disclose production plans for lidar.